Many people living with type 2 diabetes monitor their blood sugar levels on a daily basis, but does that really make a difference to health? A new study suggests that they may be over-monitoring. According to a recent Centers for Disease Control and Prevention (CDC) report, about 30.3 million people in the United States live with diabetes, which equates to almost one in 10 individuals. The most commonly diagnosed form of diabetes is type 2 diabetes, which, more often than not, does not require insulin injections. Instead, people with type 2 diabetes can manage their condition by taking the appropriate medication. A drug that doctors often prescribe for this form of diabetes is metformin, which helps people keep their blood sugar levels under control. 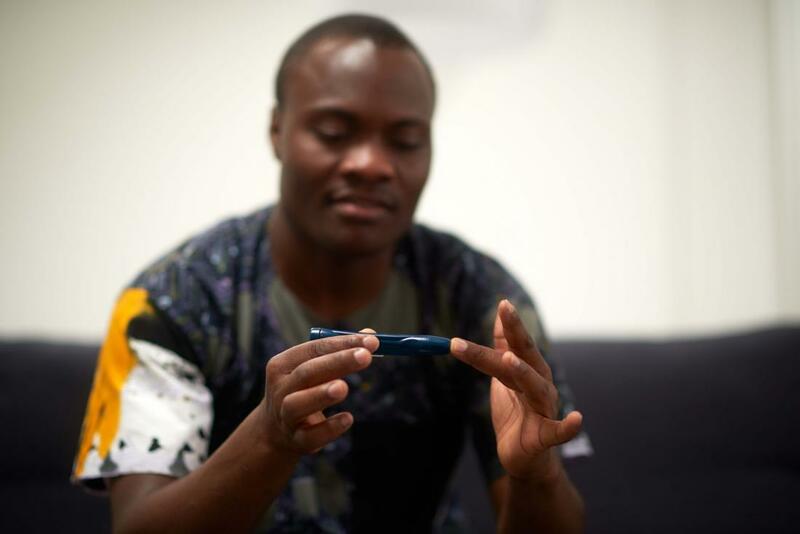 As keeping blood sugar in check is so important in diabetes, endocrinologists advise people with this condition to perform regular, simple blood tests that they can do at home with the appropriate devices. However, emerging evidence suggests that many people living with type 2 diabetes may be erring too much on the side of caution and taking these tests too often, without deriving any real benefits from doing so. A new study by researchers from the University of Michigan in Ann Arbor suggests that a significant percentage of people with type 2 diabetes test their blood sugar levels at least twice a day. These findings, which appear in the journal JAMA Internal Medicine, indicate that U.S. citizens or, in some cases, their insurance plans may pay excessive amounts of money for the supplies they require for unnecessary testing. Dr. Kevin Platt, who is in the Department of Internal Medicine at the University of Michigan, led a team who looked at the insurance data of 370,740 people with type 2 diabetes. The researchers specifically assessed how these individuals had been filling test-strip prescriptions for blood sugar tests following the updated guidelines that the Endocrine Society and Society of General Internal Medicine issued in 2013. These guidelines recommended that people with type 2 diabetes reduced the frequency of at-home blood sugar level tests. In their analysis, the researchers only looked at people with diabetes who did not require insulin or take medication that increases hypoglycemia (low sugar levels) risk. However, they did include people who took no medicine for the regulation of blood sugar, as well as those who took medicine that did not require them to check their blood sugar levels frequently. Of these people, “32,773 individuals were taking agents not considered to be a risk for causing hypoglycemia (e.g., metformin hydrochloride) and 19,047 had no claims for any antidiabetic medications,” the authors write. Dr. Platt and team explain that once a person taking blood sugar medication has determined the dosage that works best for them, they no longer have to test their sugar levels on a daily basis. However, the study findings indicate that even the people who did not need to take daily blood tests were still using an average of two test strips per day. The researchers believe that people may keep on taking the tests to allow them to keep a log of their blood sugar levels and feel more in control of their condition. However, they are spending a lot of money in doing so, whether it be on insurance plans or out of their own pocket in the absence of insurance. “The median claims cost for test strips was $325.54 […] per person per year” in the case of people with an insurance plan, the researchers write, and the cost is likely to be even greater for those without insurance. “Healthcare costs and access to care are an important issue for many Americans,” says Dr. A. Mark Fendrick, the study’s senior author.